SHINPURI, KUROBASU, FREE! 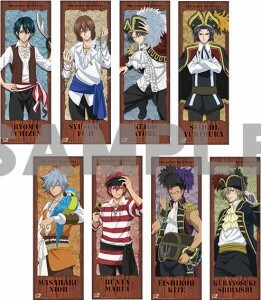 STICK POSTER PRE-ORDER!!! 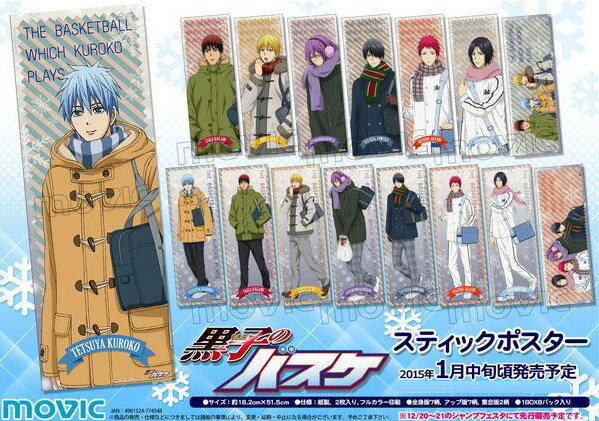 ONE SHINPURI STICK POSTER BOX AND ONE KUROBASU STICK POSTER BOX HAVE BEEN ORDERED!!! This Free! stick poster collection has two styles, one is of them being champions, and the other of them in Australia I presume... (so much to catch up on after finals...sigh)... And then one of the group in the bathhouse. There should be five additional ones on special paper, but I don't know which ones they are yet, so unfortunately I can't list them for reservations. Once I receive them and see what they are, I will post them for you to buy. If I get about 10 reservations, I will buy the box. This winter stick poster collection has two versions, a full body version and a magnified half-body version. So remember to tell me which versions you want when you reserve!!! If I get about 10 reservations, I will buy the box. Are you 100% sure you want both Niou's and normal Shiraishi?! Aww...Niou is completely gone D: The early bird gets the worm, eh? Since I can't have him and just in case you do get a box of the Free! 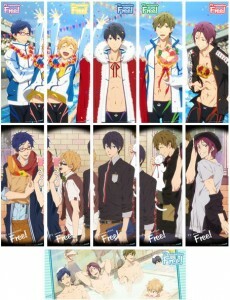 ones, can you put me down for Haru and Rin champion posters? Hehehe yeah... Sorry, pupina wanted both Niou's. Anyways, I'm not sure if I can get the Free! Posters, but I'll put you down just in case!!! Hi Linna-chan, may I have Yukimura and Shiraishi shiny version? Finally I get to log in =.= could you reserve Fuji sempai for me please, shiny version ^^ thanks! Hey there!!! Shiny Fuji is already taken, but I can put you down for the normal version if you still want him!! Wah! Duckie-san can I still order Fuji of the pirate poster? Heya, ah sorry, Fuji is already taken... We've got lots of Fuji fans around here!! !